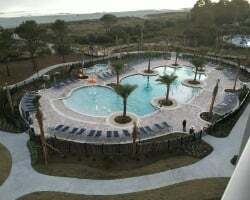 Set along the breezy coastline, *Ocean Oak Resort by Hilton Grand Vacations Club* offers a peaceful retreat in a park-like setting with all the comforts of home. 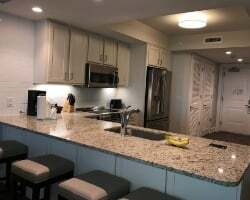 Each 2-bedroom suite comes with a full kitchen, washer/dryer, and living and dining areas, along with access to resort amenities like an oceanfront pool, lap pool, fitness center, pool bar and kids' activity center. Enjoy easy access to 250 Hilton Head restaurants, 20 golf courses and other activities. To discover more, please visit www.hiltongrandvacations.com. 7,000 annual points! Points can be used anywhere in the Hilton Grand Vacation Club network! Inquire for details! 9,600 annual points! Points can be used anywhere in the HGVC network! Buyer may receive a title fee credit, inquire for details!! 5,800 odd year points! Points can be used anywhere in the HGVC network! Buyer may receive a title fee credit, inquire for details! 10,000 annual points! Points can be used anywhere in the HGVC network! Buyer may receive a title fee credit, inquire for details! 5,000 annual points! 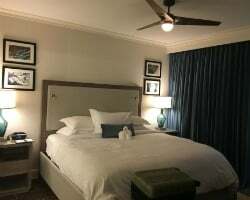 Stay in Hilton Head Island or any resort in the HGVC network! Buyer may receive a title fee credit, inquire for details! 5,000 annual points! Points can be used anywhere in the HGVC network! Buyer may receive a title fee credit, inquire for details! 5,000 annual points! Use points anywhere in the HGVC network! Buyer may receive a title fee credit, inquire for details! 5,800 annual points! 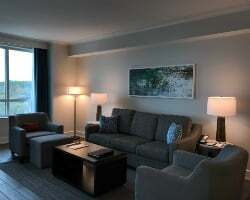 Points can be used anywhere in the Hilton Grand Vacation club! Buyer may receive a title fee credit, inquire for details! 5,000 even year points! Points can be used anywhere in the HGVC network! Buyer may receive a title fee credit, inquire for details! 10,000 annual points! Points can be used anywhere in the Hilton Grand Vacation Club network! Buyer may receive a title fee credit, inquire today! 5,800 odd year points! Points can be used anywhere in the Hilton Grand Vacation Club network! Buyer may receive a title fee credit, inquire today! (2) units on same deed: 2 Bdrm Plus gold season week = 5,800 pts & 2 Bdrm gold season week = 5,000 pts for a total of 10,800 HGVC points! 3500 annual points! Points can be used anywhere in the Hilton Grand Vacation Club network! Buyer may receive a title fee credit, inquire for details!! Brand New Building on the Ocean Sale includes 5,000 annual points w/ 21,000 Bonus Points available now! Highly motivated seller. 14,000 points available now! Points can be used anywhere in the Hilton Grand Vacation Club network! Inquire for details! 5,800 annual points! Points can be used anywhere in the HGVC network! Inquire for details! 5,800 annual points! Stay at this lovely resort or travel to any resort in the network! Buyer may receive a title fee credit, inquire for details! Sale includes 3,500 annual points! Enjoy Hilton Head or any location within the HGVC network! Buyer may receive a title fee credit, inquire today!